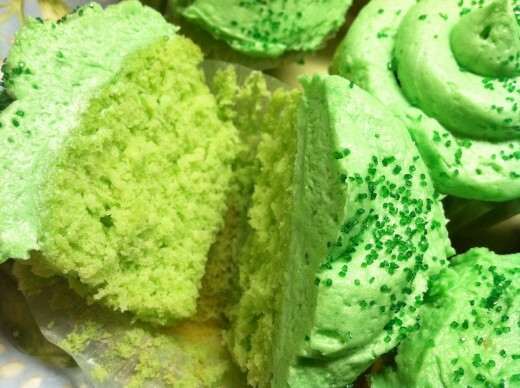 It’s St. Patrick’s Day so we needed something special and green for the boys to have for dessert. I whipped up these cute little cupcakes for them. 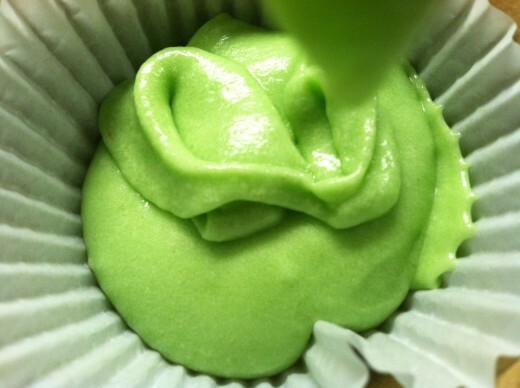 There are three eggs in the batter, and three dashes of green in each cupcake. 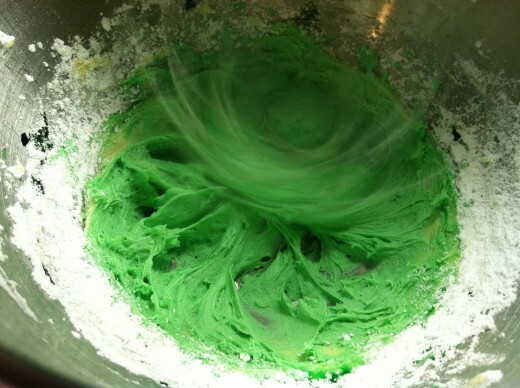 Green color in the batter, green color in the frosting, and a little sprinkle of green sugar on top of each. Since they are my creation, I’m going to say that gives anyone who eats one 3 wishes. I wish I could eat one. My metabolism is on some sort of sky rocket so I’m not doing anything to mess that up right now. I had half an unfrosted cupcake so only get 1/2 a wish. 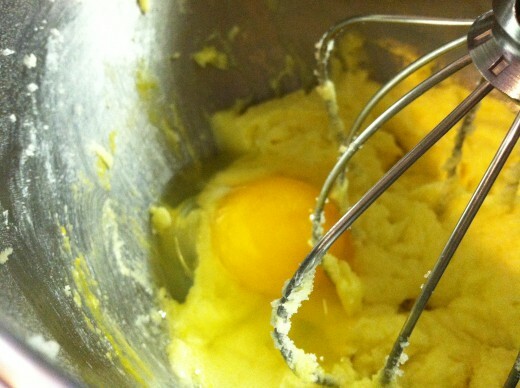 My halfway wish is that I could come up with my very own yellow cake batter that tastes halfway decent. These cakes are a little wimpy without the frosting. 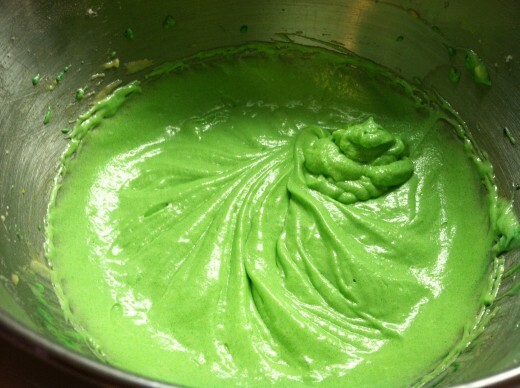 The frosting happens to be pretty darn amazing, if I do say so myself. 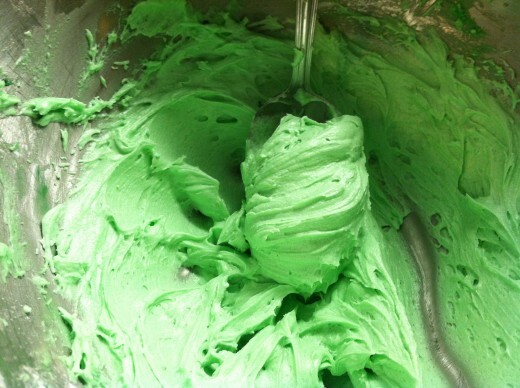 I LOVE buttercream and had to sample a bit to see if there was enough peppermint flavor in it. There wasn’t. It’s a very good thing I did a taste test so I could make an adjustment. My sons flipped out. Just flipped over them with the first bite. 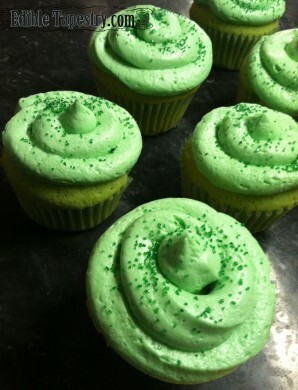 They had their first Shamrock shake from McDonald’s last week so saw right away where I was going with my cupcakes. 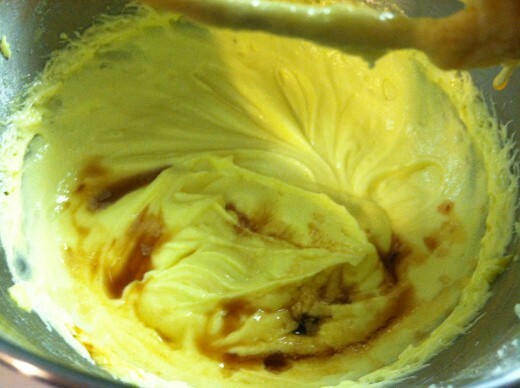 I will keep working on my yellow cake recipe and hope my friend who gets my surplus recipe creations doesn’t mind. She’s getting a plateful of 3 Wishes Cupcakes in a minute here, and I still haven’t perfected the cake batter. There may be more experimental donations in her future. Heat the oven to 350 degrees. Line muffin pans with cupcake papers. This recipe makes 18. Add the sugar and cream together well. 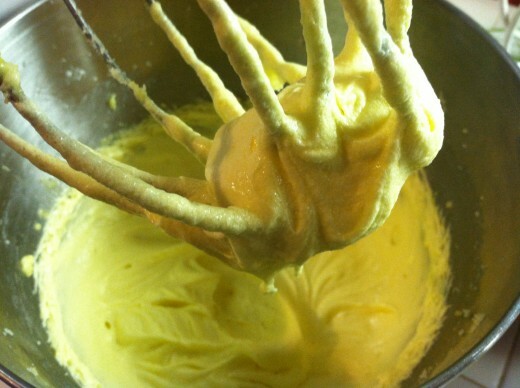 Whip until the batter is light and pale yellow. 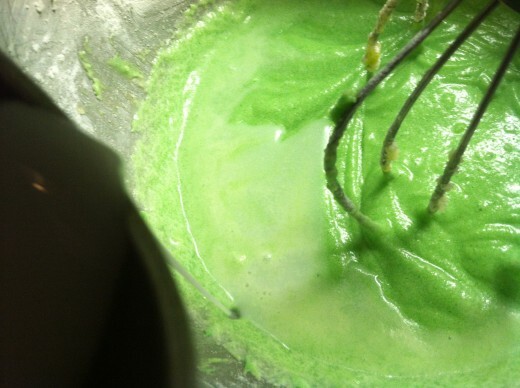 Add the extracts and green food color. 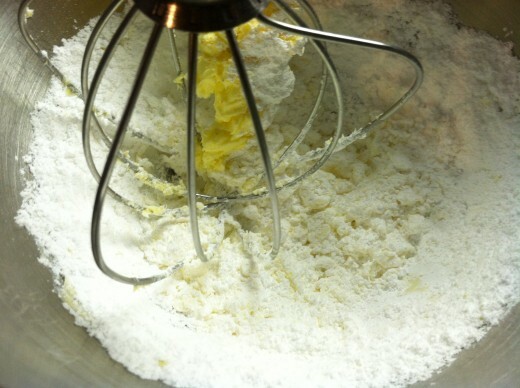 Add alternately with the milk to the wet ingredients. 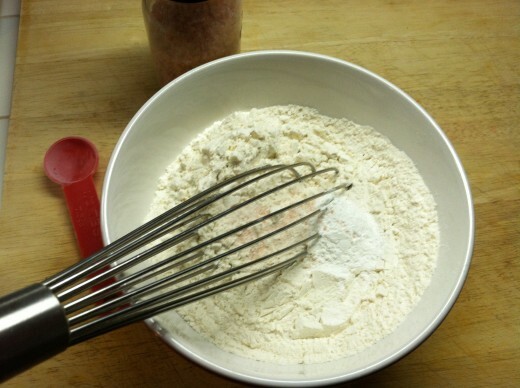 Stirring gently so the baking powder doesn’t deactivate. Bake 30 minutes. Cool completely. 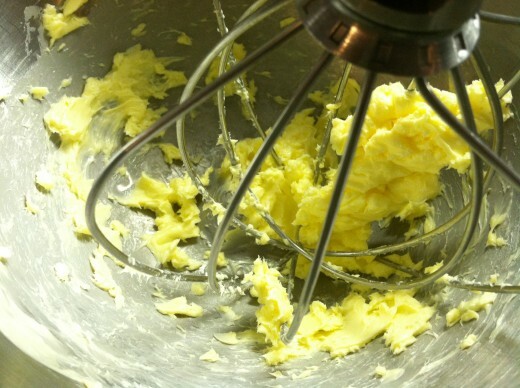 With an electric mixer, cream the butter and peppermint extract. 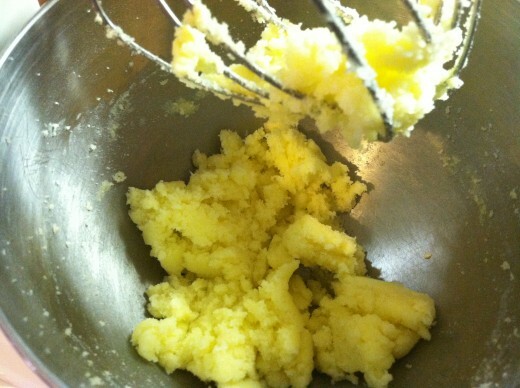 Add 1/2 c. of the confectioner’s sugar. 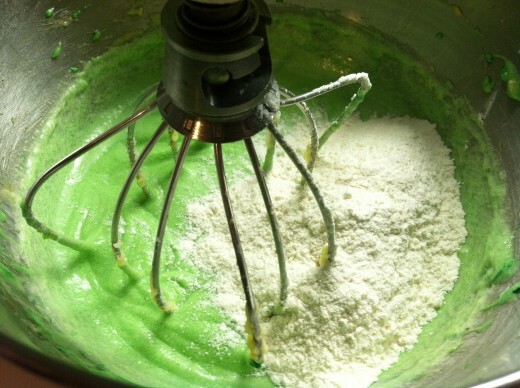 Stir in the food color and milk. 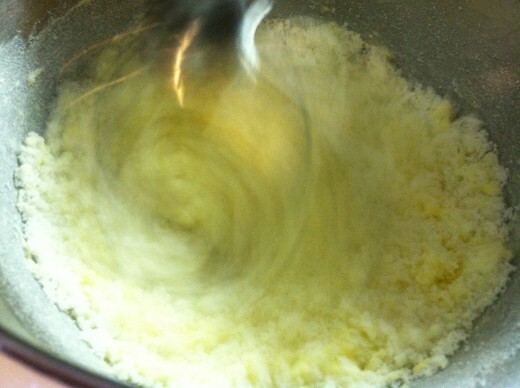 Gradually add in the remaining sugar. Whip on med. to high speed until light and fluffy. 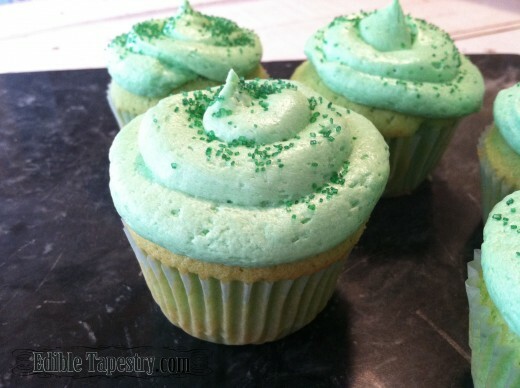 Frost the cupcakes when they are thoroughly cooled and sprinkle with green sugar. Take a bite of one. Make three wishes.